The masses are now shifting from long-form and lengthy content to short-form videos as the latter gains strong popularity through mobile apps. Now, digital natives are contributing to its growth as users spend more time watching videos using their mobile devices. Apps such as Snapchat strongly benefit from the growing trend, which now comes with a huge 100 million user base around the world. Snapchat CEO Speigel says that its users have recorded over 8 billion video views per day, with each member browsing the platform for 30 minutes. Here in the country, Snapchat has already gained a massive following all thanks to its unique and unconventional approach to sharing on social. 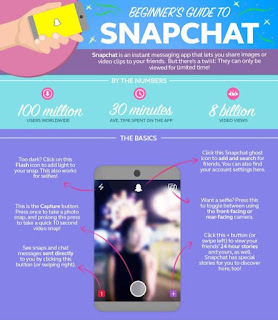 Quick videos and awesome filters are all abounding, spicing up social interaction between its users. Snapchat usage is projected to increase much further, with smartphone penetration going at 55% as well as a record of holding the highest number of social media usage at 3.7 hours according to reports. Globe Telecom is pushing the trend as it now offers Snapchat to its Prepaid customers through the GoSAKTO offers. You can now register to GoSAKTO easily by dialing *143#, creating your own promo, visiting online at www.globe.com.ph/prepaid/promo/gosakto or through the Facebook App.